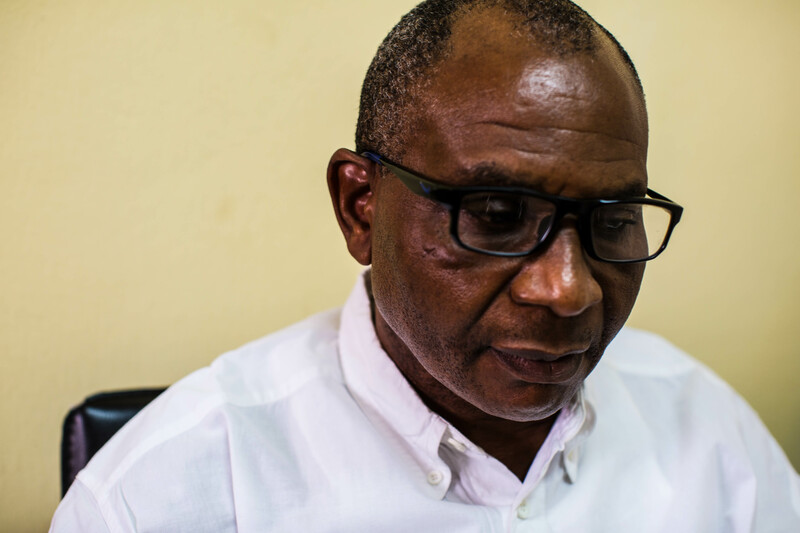 Biafran War Memories is a digital archive of first-hand accounts of the 1967-1970 Nigerian Civil War, also known as the Biafran War. The personal stories of people who remember the war and some who lived through it are here. 'Biafra: Fighting a War Without Guns' is a BBC documentary film. 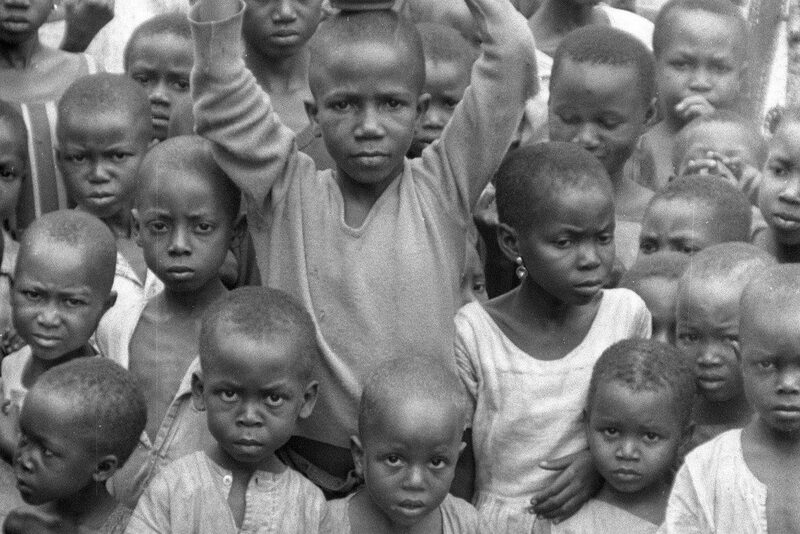 This film, that led the BBC's 1995 Africa season, was the first attempt to reconstruct in film the troubled history of the Biafra conflict. 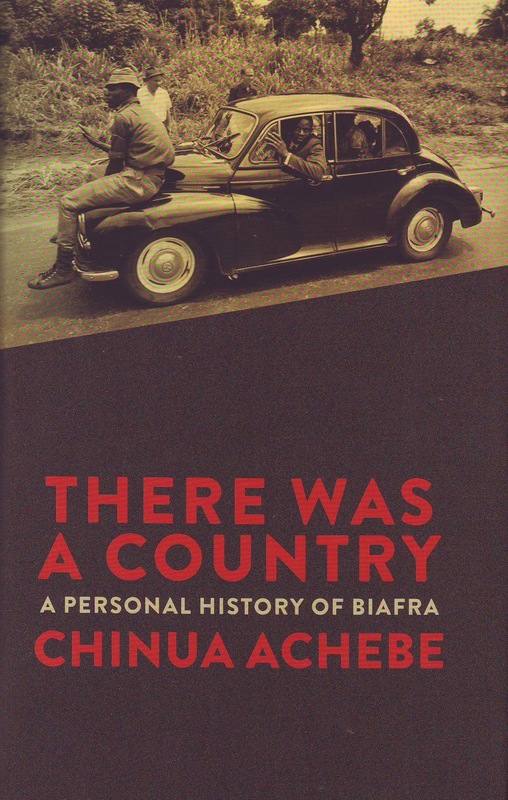 Featuring a long interview with Colonel Chukwumeka Ojukwu, the leader of Biafra, and leading players from that period, it argues that the Nigerian Civil War was one of the first of modern conflicts in which the war for the international media becomes as important as the fight on the ground. The film is also notable for its use of archive as an independent film element rather than wallpaper to illustrate commentary. In this photo by Agence France-Presse, Nigerian federal army soldiers, prisoners of the Biafran army, wait to be questioned on August 8, 1968 near Ikot Ekpene in Akwa Ibom, southern Nigeria. His head left his body! How would we react? We were just terrified. 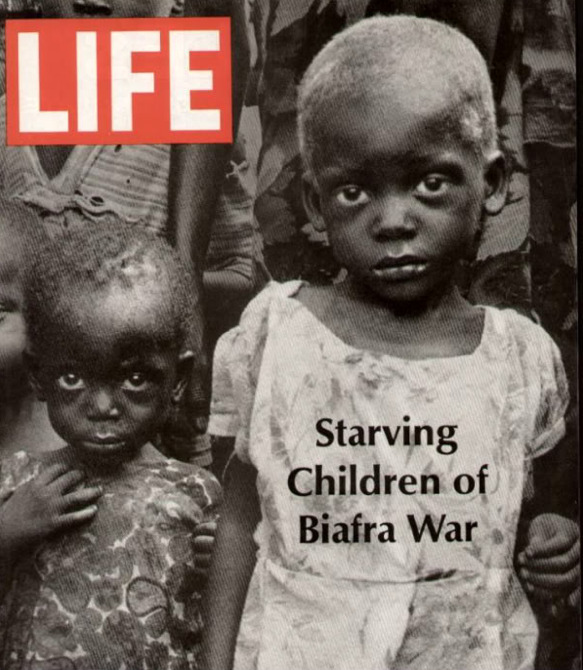 The Biafran airlift was a humanitarian intervention organized by private groups from 1967-1970, bringing food, medicine, and other supplies into Biafra during its bloody separatist conflict with Nigeria. We were hearing gun shots and bomb blasts and all that so I gathered my brothers and started running with the neighbors. There was molestation from the Igbo soldiers who were in Kaduna then. Molesting people anyhow. British war photographer Don McCullin’s picture of a 9-year-old albino Biafran child is considered by TIME Magazine to be one of the most influential photos of all time. 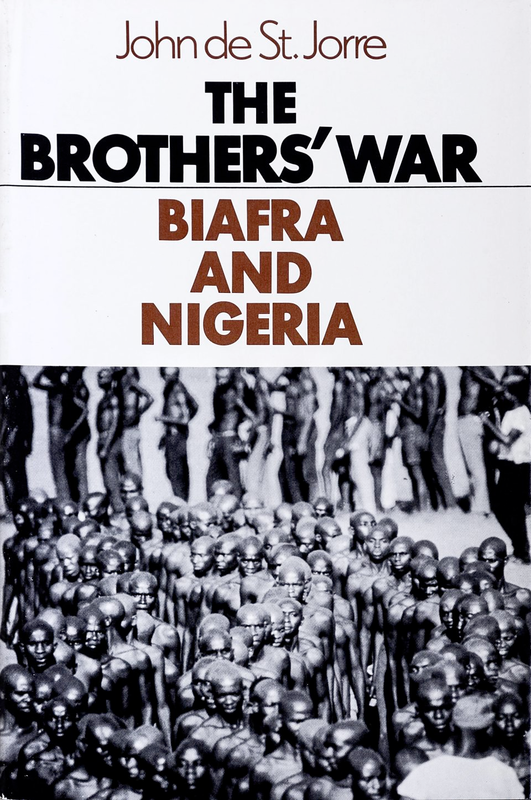 “To be a starving Biafran orphan was to be in a most pitiable situation, but to be a starving albino Biafran was to be in a position beyond description,” McCullin wrote. Médecins Sans Frontières (MSF) was founded in 1971 in France by a group of doctors and journalists in the wake of war and famine in Biafra. 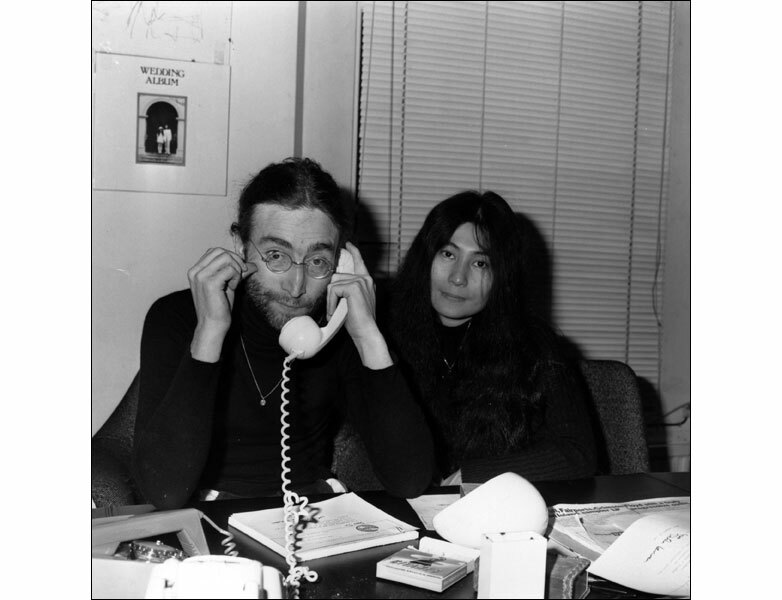 John Lennon is seen here with his wife Yoko Ono on the 25 November 1969 during a press conference held after he returned his MBE to the Queen in protest of Britain's involvement in the Nigerian-Biafra War. I don’t know who killed him, but he hadn’t died finally. He was about to die, and then somebody came and pulled his trousers. He was just left there. And then as we moved, we saw another one. That one- blood all over his body, already dead. And then that was the first time in fact I saw a corpse. We saw several skeletons of dead people. Skeletons, when we came back after the end of the war. We buried the skeletons. We buried them. My father’s compound was flattened. It was a battlefield. It was a war front. Two young soldiers of the Biafran army, Moise, 14 (L) and Ferdinand, 16 (R) talk to one another in the city of Umuahia on August 31, 1968 as the Nigerian federal troops continue their advance during the Biafran war. Photo by Francois Mazure for Agence France-Presse.